The right combination. BDM Constructions combines a contemporary approach with traditional values to deliver a professional service from start to finish. The whole package. We have the resources, capability and expertise to undertake a broad range of construction projects – from concept designs, quotations and council requirements, to on-site management, right through to the handover of your completed project – while providing a personalised service that recognises your individual requirements. A motivated team. Our team is comprised of more than 40 permanent staff members, along with a dedicated crew of regular sub-contractors. Our focus on personal and professional development means our people are not only highly-skilled, but they enjoy what they do and have a passion for quality. A long history. Managing Director Brad Maggs is a third generation builder, and the Maggs family has had a respected name in the construction industry for more than 80 years. Since Brad founded BDM in 2004 the company has made its own history, being recognised with awards for both construction and as an employer. Australia-wide. 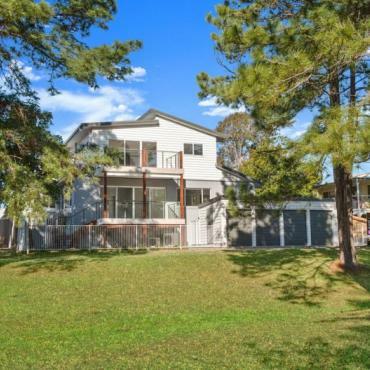 With its head office in Wauchope on the NSW mid-north coast, and a branch in Sydney, BDM Constructions is capable of delivering projects anywhere in Australia. We regularly service NSW, ACT and southeast Queensland, and can travel as a team to bring our clients our best practice solutions.